What is rap music? It is difficult to imagine a more extraordinary trend in the music industry. The fact that the background music for the lyrics is created by mixing existing musical compositions, distinguishes this genre. Nevertheless, any rap fan can say that it's not a matter of creating musical compositions (it should be mentioned that backing tracks take up less than 50% of the compositions), but the text that is performed over a musical accompaniment. So, rappers can be compared to Soviet singers of the Khrushchev Thaw. Rapper Kendrick Lamar Duckworth (his real name) is rightfully considered a well-deserved successor of the traditions of his predecessors such as famous Tupac Shakur. The future rapper was born in Compton, California on June 17, 1987. His parents moved from Chicago (Illinois). The boy was named after Eddie Kendricks, the singer of The Temptations. When Kendrick grew up, he attended Centennial High School. Lamar was 9 years old when his father took him on the set of the music video of 2pac and Dr. Dre. The video was shot for the hit song “California Love,” which was very popular at that time. This event had a strong impact on Kendrick, and later he decided to become a rapper too. Even the murder of Tupac on September 7 of the same year did not stop the boy. By the age of 12, the boy had managed to collect a large record collection where he allocated a special place to the works of 2pac, The Notorious B.I.G., Mos Def, Eminem, Jay-Z, Snoop Dogg, Nas, and DMX. Their works influenced Kendrick's development, his life principles, and priorities. In 2003, the guy released his debut mixtape titled Hub city threat: Minor of the Year. Kendrick’s first pseudonym was K-Dot (derived from the name and surname). The small company called Konkrete Jungle Muzik helped to spread the debut mixtape of Lamar. In 2007, K-Dot released the second mixtape Training Day, named after the film. Two years later, the third mixtape titled C4 was released, featuring explosion sound effects used for military purposes. However, mixtape did not bring necessary results. 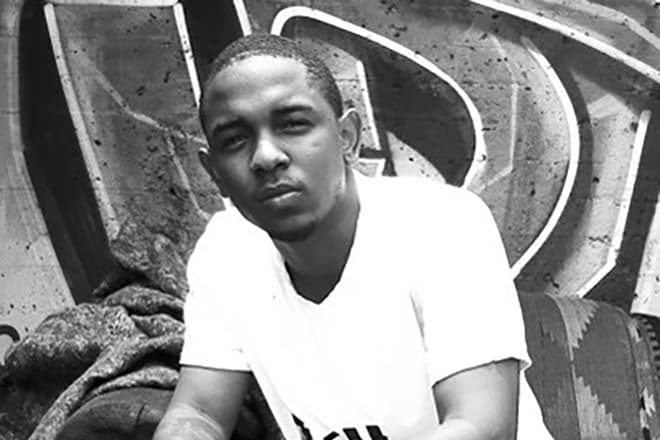 Then the performer made a rebranding, which resulted in the EP The Kendrick Lamar, released in December 2009. The release of the EP The Kendrick Lamar was the beginning of his professional career. 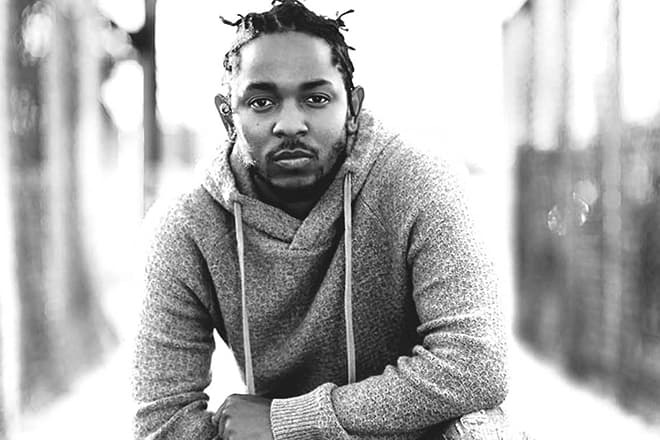 After the success of the EP, the Top Dawg Entertainment company paid attention to Kendrick. The first project, created by Lamar under TDE, was the mixtape Overly Dedicated, released on September 23, 2010. Lamar sang some tracks from this mixtape in the tour, which he organized with Tech N9ne and Jay Rock in 2010. 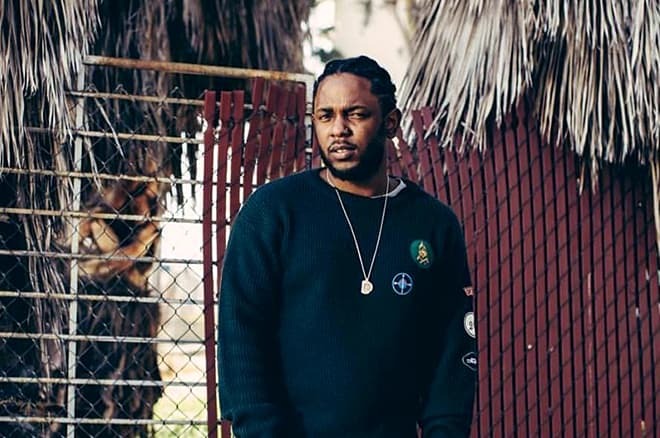 However, the following year, Kendrick terminated the contract with Top Dawg Entertainment and on July 2 released his full-length debut album Section 80being as an independent performer. 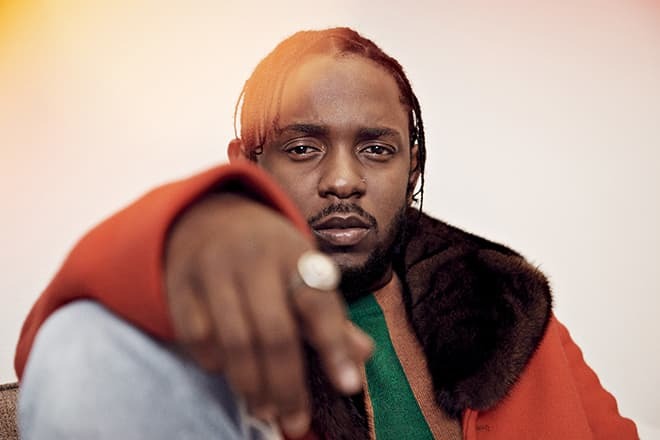 By that time Lamar had already collaborated with Lil Wayne, Busta Rhymes, The Game and Snoop Dogg, and the XXL magazine named him one of the promising new singers of the year. In 2012, Kendrick signed a new contract with Aftermath (an affiliate company of Interscope). The second studio album Good Kid. M.A.A.D. City was released under this label. The album was a success and even was certified platinum, and the video for the song "Swimming Pools" was shown on all musical TV channels. The tour in support of Good Kid. M.A.A.D. City began immediately after Lamar's return from the Drake tour, where Kendrick, 2 Chainz, and ASAP Rocky supported other singers. In 2013, Lamar released collaborative work with Lady Gaga, Kanye West, Big Sean and other performers, and also recorded the soundtrack for the next part of the game Tom Clancy`s Ghost Recon. The following year, Kendrick continued to record songs, featuring other performers, participated in The Tonight Show Starring Jimmy Fallon and began working with the Reebok company. On March 15, 2015, the rapper released the long-awaited third album, titled To Pimp a Butterfly. Rolling Stones magazine and The New York Times newspaper named this album the best album of the year. The same year, Lamar was nominated 11 times at the 57th Grammy Awards ceremony. Only Michael Jackson had more nominations than Lamar. In 2015, the rapper also starred in the Taylor Swift’s music video, where they performed collaboration “Bad Blood,” and in the feature film Straight Outta Compton, dedicated to the legendary N.W.A band. 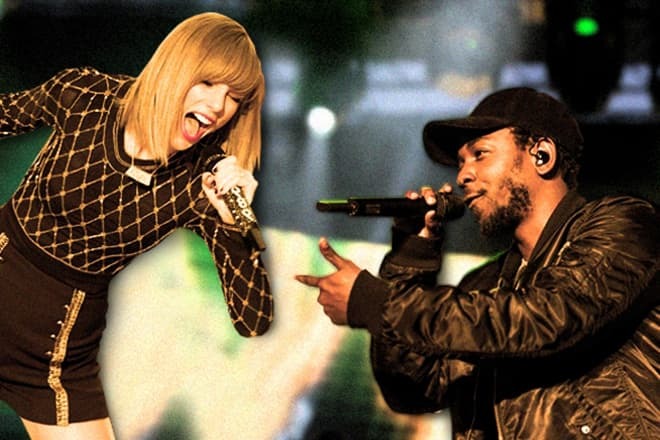 The next year was marked by the next collaborations (the tracks "The Greatest" recorded with Sia) and the release of Untitled Unmastered, an album consisting of unfinished demos from the recording of To Pimp a Butterfly. The same year, the rapper appeared on the Time 100 list of most influential people of the year. Musicians, actors, and people of similar professions have no personal life. 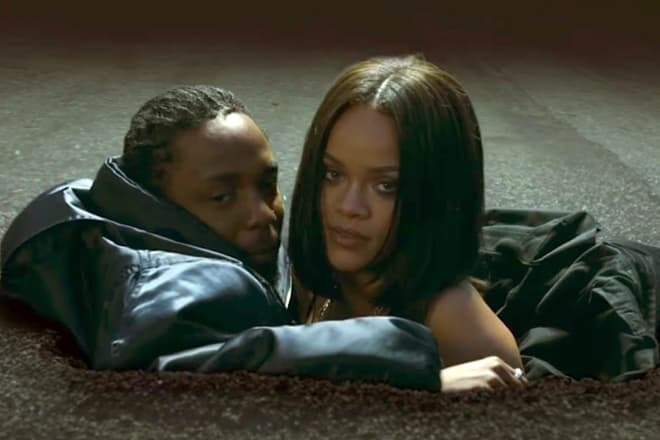 But Kendrick is lucky. In 2015, the rapper announced an engagement with a young woman, Whitney Alford. They attended the same school. 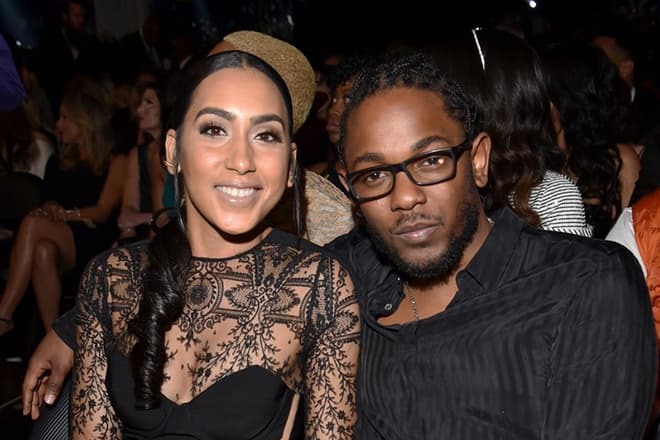 Kendrick claims that the girlfriend supports him and doesn’t allow him to give up for a long time. On April 14, 2017, the singer released his fourth album DAMN. New sound, the mix of genres, a strong emphasis on the evangelical theme, as well as the previous straightforwardness and social concerns had a necessary effect and the album was a huge success. Participation of third-party artists such as Rihanna, Zacari, and the U2 band also contributed to the popularity of compositions. The track “Humble,” the main song of the album, topped the charts. The music video for this song was released on March 30, 2017. Information about concerts dates, as well as location regularly appears and is updated on the official website of the performer, as well as in social networks. By the way, their rapper does not like them and prefers real-life communication. "I do not have pages on Twitter and Instagram, agents do it for me. I do not like gadgets, and I lose my mobile phone regularly during tours, " Lamar says. Now Kendrick spends his time on the set and at the studio. He is working on the release of a new album and songs. The musician comes to the sports grounds of his city to relax, he does training there. This explains his good physical fitness (the height is 168 cm, the weight is 67 kg), as well as endurance, which helps Lamar at many concerts.